Social Network (like Facebook) for free inside your company ?!?! People just love Facebook, right ? So why don’t you leverage this experience inside your company ? VMware brings SocialCast, a social network application. With it companies can connect their employees, help them collaborate with each other, they can share information, ask for help, while it increases agility and reduce the time spent with e-mailing. Since people are so familiarized with social networking you would not have to bother about training them. Also, because it’s hosted behind your firewall you have all the security and control you want…WOW… is not that what IT directors and IT managers look for ?!? And the most amazing news is that VMwareannounced it for free for companies or departments up to 50 users. Socialcast Product Walkthrough from Socialcast on Vimeo. 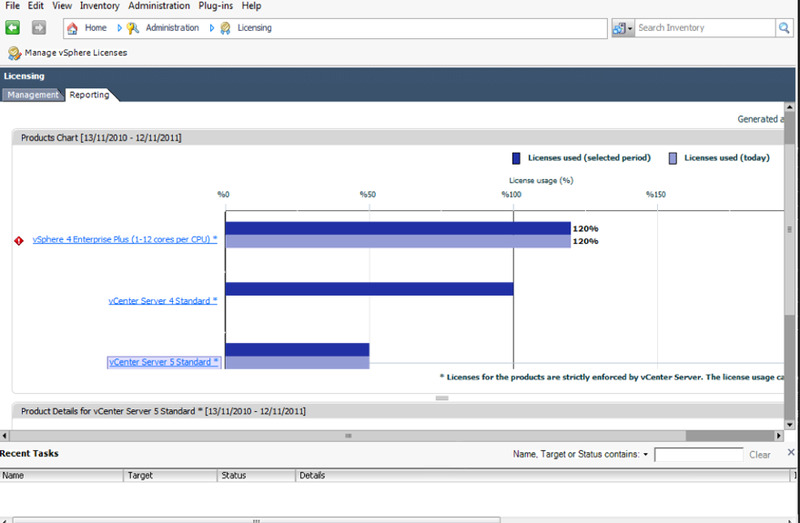 Is vSphere Web Client a requirement for tracking license utilization ? With the new vSphere 5 licensing model, based on vRAM utilization, everybody is concern with average utilization, if you are not, better start to be. You might be out of compliance. vCenter has, now, a new capability to track your license utilization. You can check that at HOME – Administration - Licensing . There will be a new tab called Reporting. 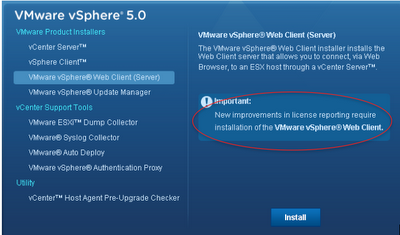 This new functionality depends on the vSphere Web Client. This requirement is not clear on admin guides or installation guides. (well, I could not find it anywhere, if you know where this statement is, please let me know and I’ll be glad to correct this post). If you just install vCenter and did not install the Web Client, you will end up with the following error, VMware vSphere Client is not installed or it is incorrectly configured for this vCenter Server. 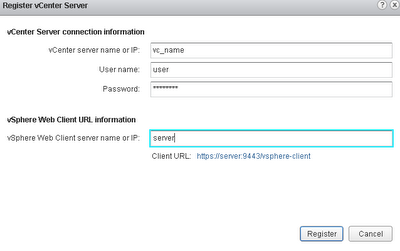 Install or configure the vSphere Web Client for this vCenter server and click the Retry button bellow. That would be your first clue. 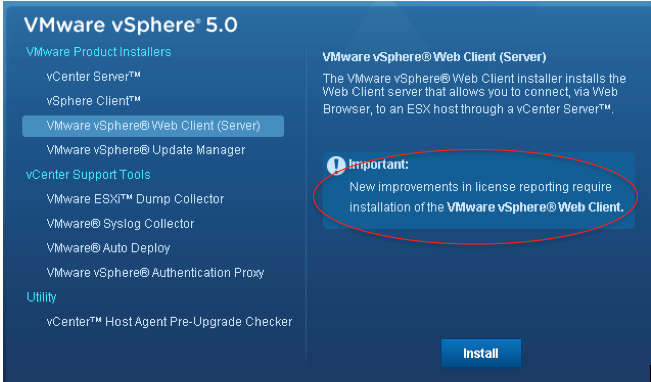 Your second clue would be when starting the vSphere installer and selecting the vSphere Web Client, on the right, will be a description saying: New improvements in license reporting require installation of VMware vSphere Web Client. 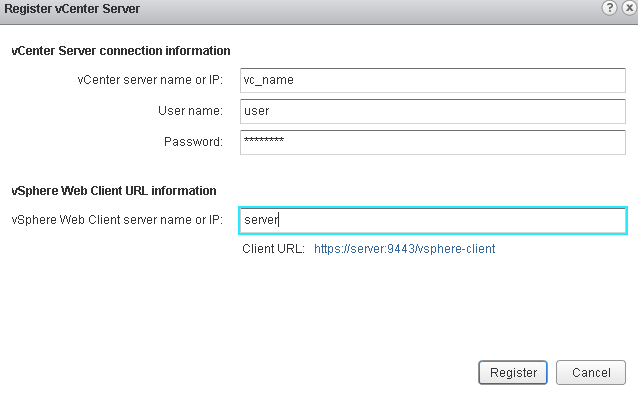 After the installation, you will need to register your vCenter with the web client. Fill the fields with the information about your vCenter and the credentials, hit “Register” and then you are ready to go. Back to the reporting tab you will now see all the information about your license utilization, vRAM entitlements , vRAM average for the past 12 months, etc..